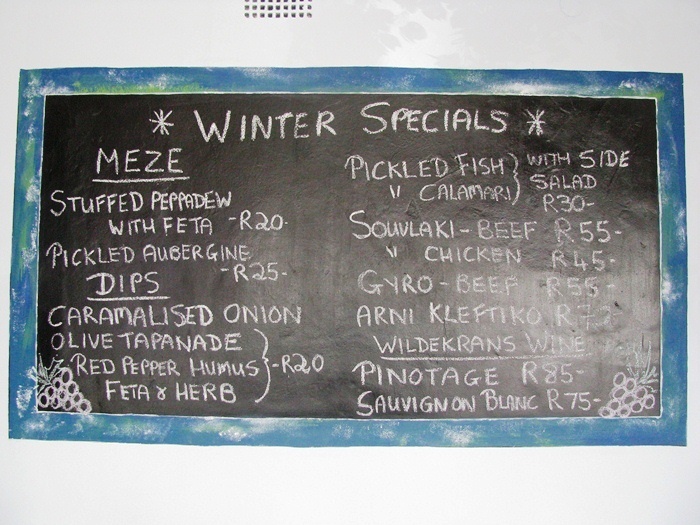 Simply Meze Bistro is within walking distance of Hermanus’ Old Harbour and Market Square. 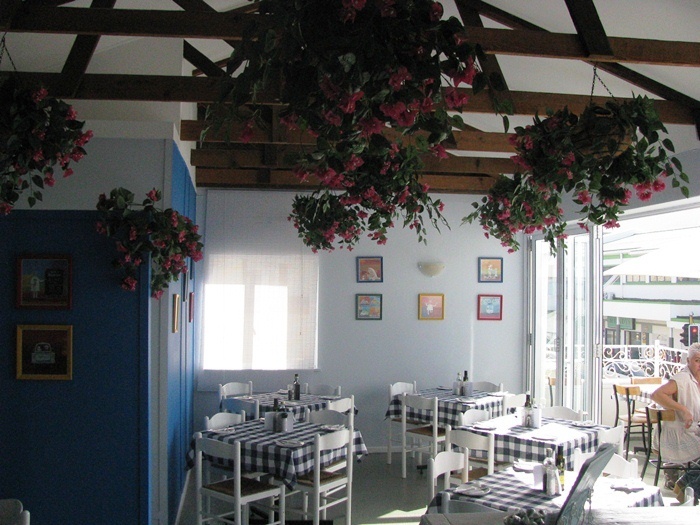 The Greek restaurant is small but sunny and has a balcony overlooking the ocean and busy market place. 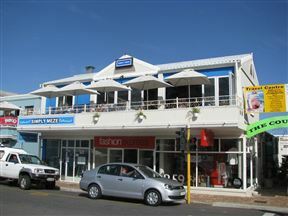 A great stop for refuelling and letting your legs relax from all the overwhelming shopping opportunities. 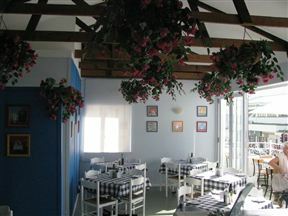 The blue-and-white check, Greek-themed interior is appropriate for this small owner-run restaurant. 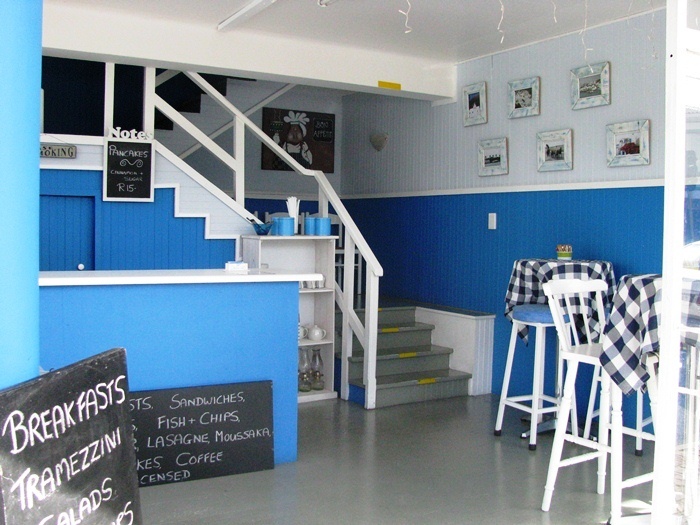 The service is personal and friendly, and tips on what to do in Hermanus are expected. Simply Mezze Bistro’s small menu includes everyday light meals as well as the specialty Greek meze platters and appetizers. 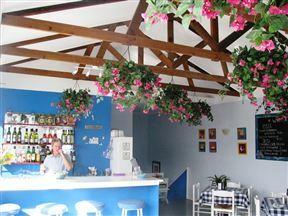 Plus choose from the never-go-wrong moussaka, lasagne or gyro. 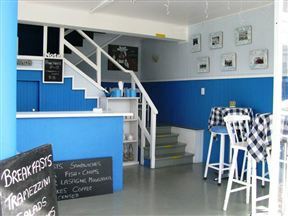 On-the-run customers can have a look at the healthy breakfast menu, gourmet sandwiches or salads. Seafood is always an option in Hermanus, and Simply Meze is no different with fish and calamari cooked to perfection. 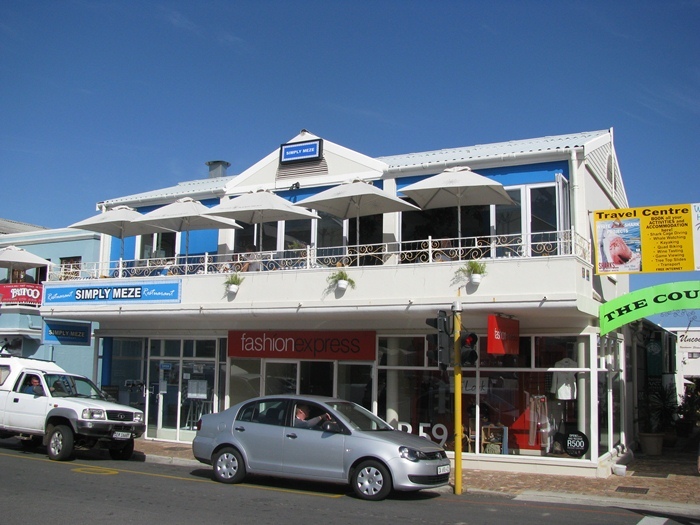 •	Continue onto Harbour Road and the restaurant will be on the right-hand side. 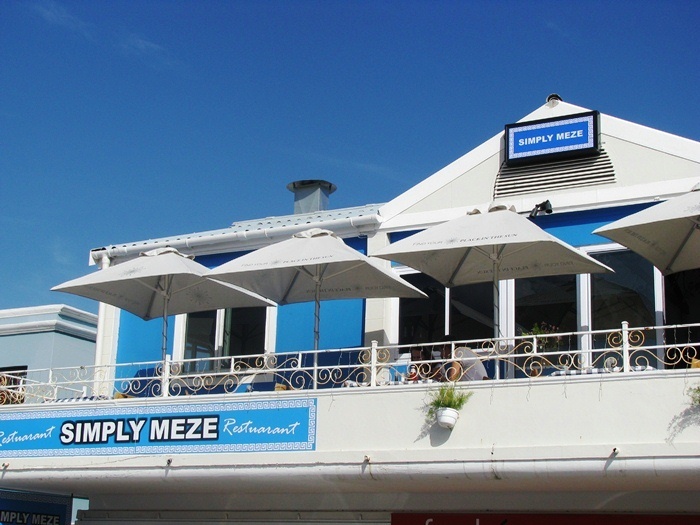 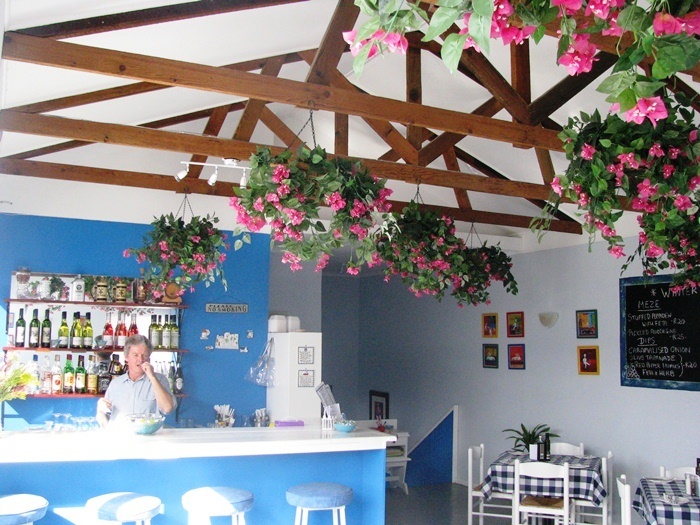 Simply Meze Bistro is 0.2km from the centre of Hermanus , the nearest airport 87.4km (Cape Town International Airport).